Great, finally set aside some time for this exciting entry about meeting guys in Korea! They actually are supporter of PDA (Public Display of Affection) despite it being perceived as a conservative country (probably only the older generation). The couple are decked in matching top, top and bottom, or even just matching sneakers. One particular sweet couple I saw in Myeong Dong, the guy was wearing a canvas shoes for his girlfriend, and squatting down, tying her shoelaces, probably after a long day walking in her killer heels. When I was in Jjimjilbang (Korean sauna), the couples there were also in tight embrace, kissing passionately like no one else was there. Long story short, here's my encounter with Korean guys I met from an app..
T and I chatted the night before we met, and when I was roaming around Busan and losing my way, we made the decision to meet up after his work on my last night in Busan at Jalgachi Fish Market, because I wanted to visit the place. He went home to wash up, and came in a neat Black & White tiny checked shirt with black pants and leather shoes. He was a fair chubby guy, and wore a thin metal framed spectacle. 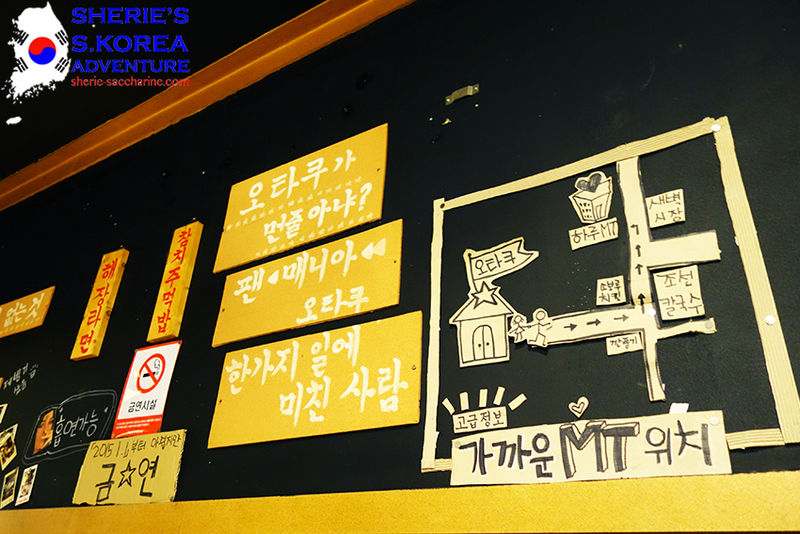 Since T doesn't like seafood, we went to a nice BBQ restaurant at "Pig Trotters (Jokbal) Street". 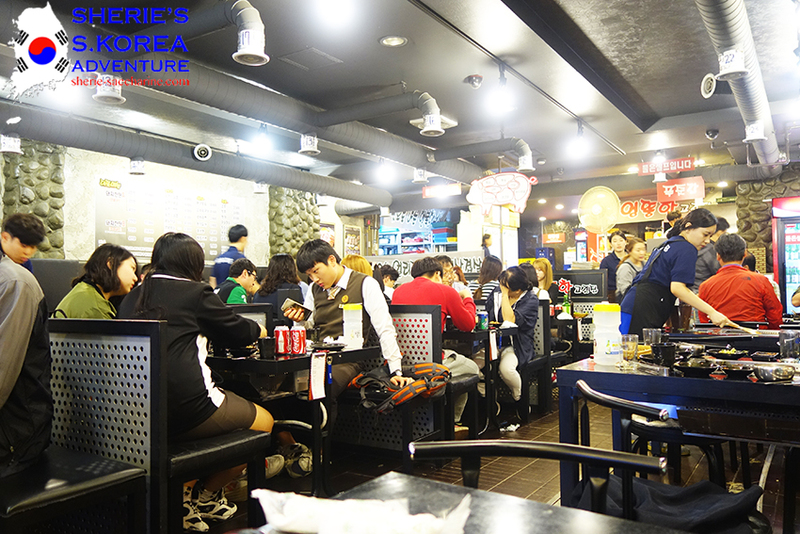 It was a clean and bright restaurant filled with youngsters (Just like me), and served free Kimchi soup along with our order of Pork loin. 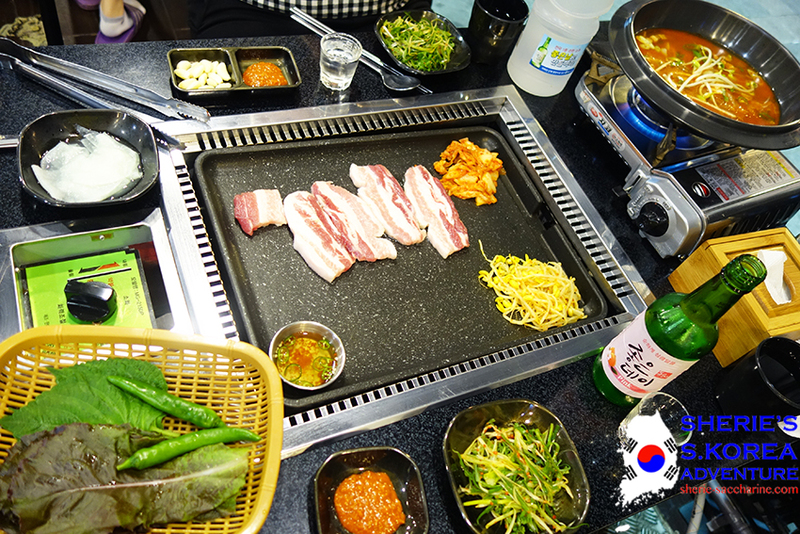 The Pink (Peach flavoured) Soju was the bomb! I fell in love with it instantly. Haha. He gentlemanly cut up to pork loin into smaller pieces for us, and taught me the different ways to enjoy the loin with different condiments. At this moment, I was trying to find out where's his sense of MCP that Korean/Japanese was known for. So he foot the bill when I was in the ladies, and refused to let me know the price of the dinner, so ya, I can't recommend you the average price of a BBQ dinner here. Anyway, I found out later that he wasn't earning a lot, so treating me to a nice BBQ dinner was really a generous gesture on his end. 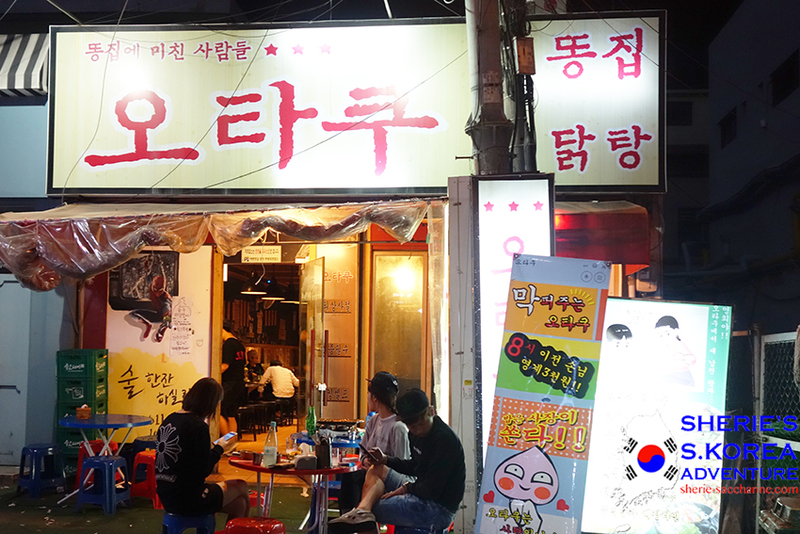 We left the restaurant, and took the Subway to the Seomyeon station near where I lived, and hop on to one of his regular drinking place where he used to visit when he's younger. 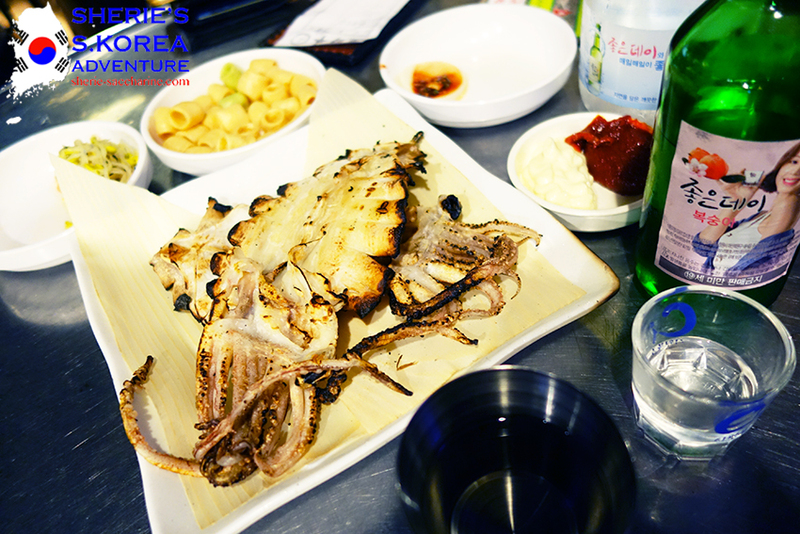 The grilled and dried Squid is so hard to bite! I also thought that it's more suitable to match with beer. Haha. T told me that this is usually a good environment for guys to hook up girls, and we literally witnessed 2 guys from this table who tried to treat the 2 girls from the table in front of ours a bottle of Soju, and wanted to exchange for contacts. 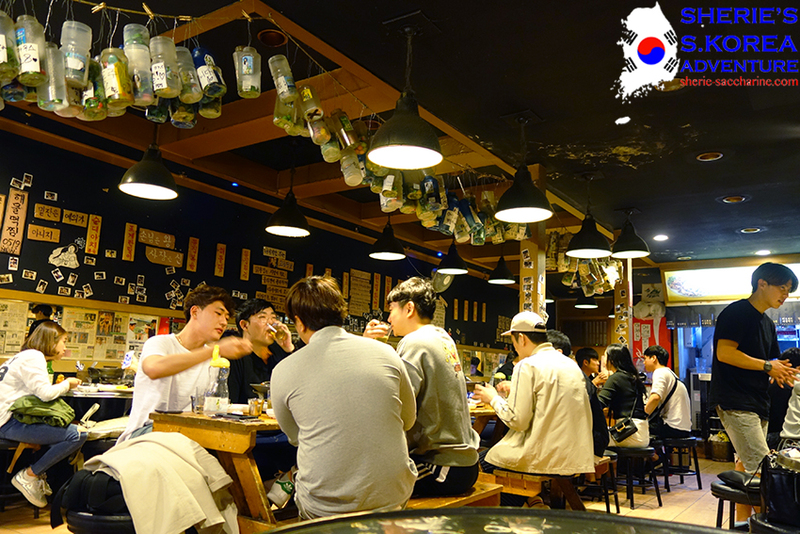 They accepted the Soju, but not the exchange. Lol. During the session, he like to find opportunities to touch my face, pinch my nose. Told ya, like little kittens. Then the MCP moments come when he ask me why am I looking at other guys, "Your eyes are hooked on men". We bid each other goodbye near my hostel, and he gave me the "can't-bear-to-let-you-go" drama and somehow hinted that he wanted to go to my hostel. But no, I went back myself. Hehe. 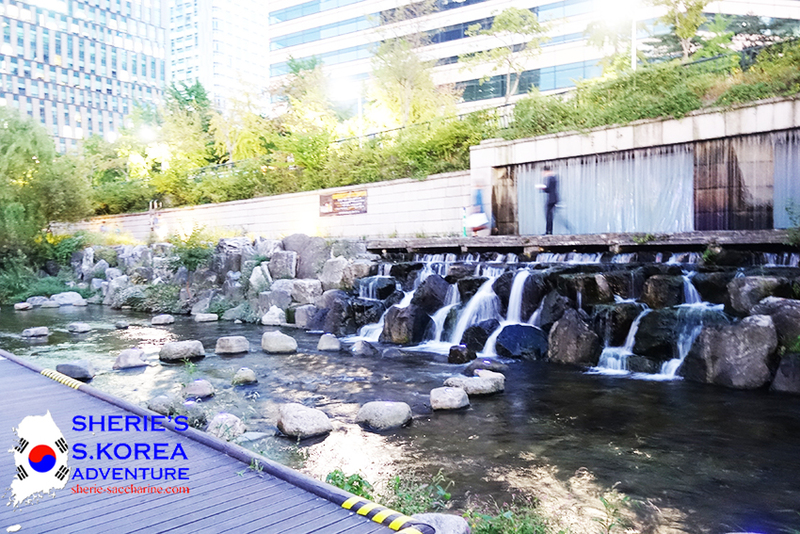 Along the way to the bus stop, we passed by the beautiful Cheonggyecheon Stream, a man-made stream which spans 10.9km. 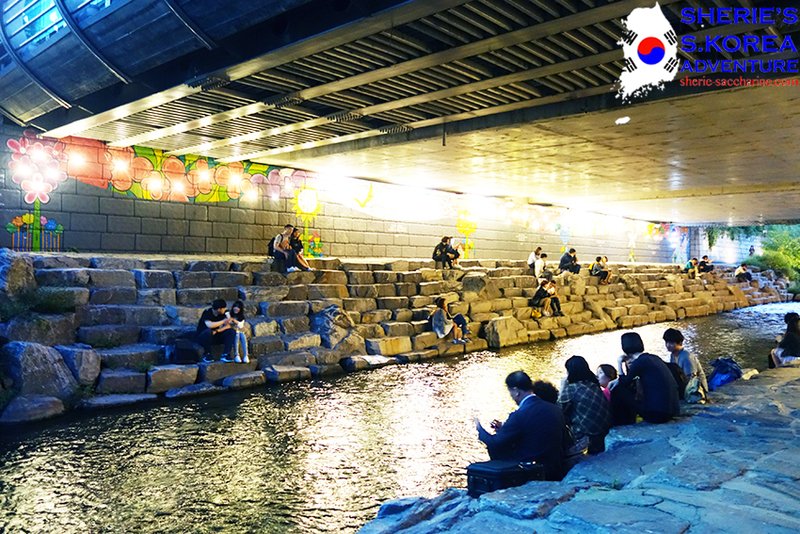 It's a great place which provides perfect atmosphere for couples and family to sit and enjoy some snacks along the cooling stream. After taking a 20 minutes bus ride (he didn't sit in the empty bus seat behind me, just stood beside my seat throughout the journey- quite gentleman? 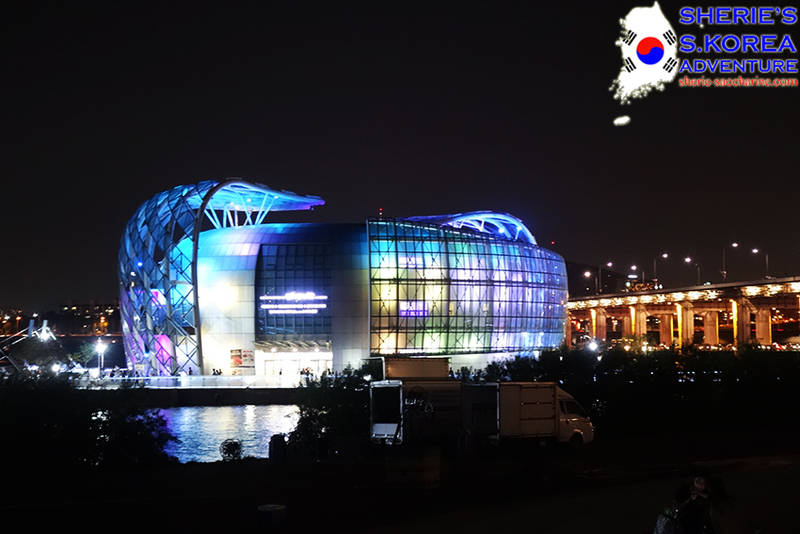 ), we finally reached Hangang Park. 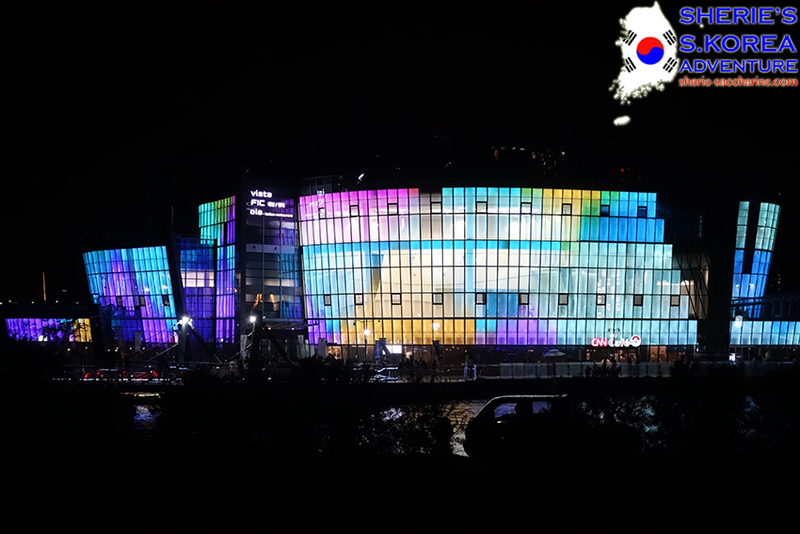 There stood 3 beautiful rainbow-lit floating buildings at Some Sevit (Former Hangang Floating Island) which operates expensive restaurants. Yay! 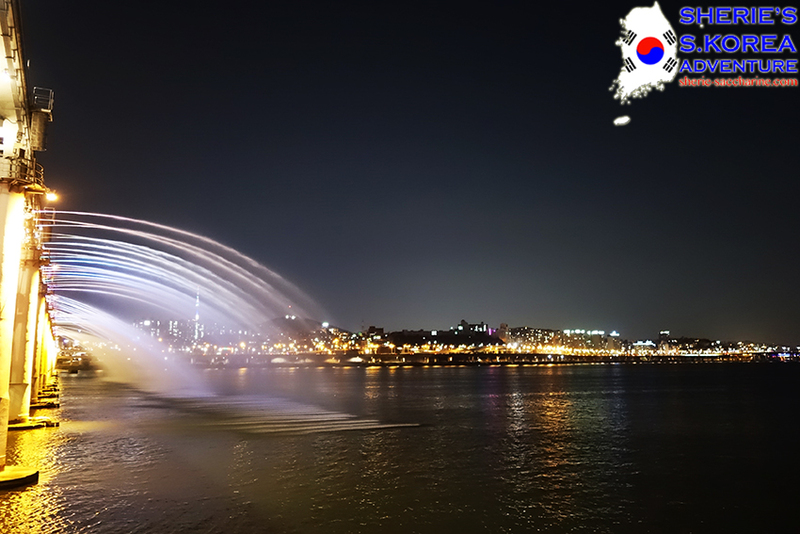 Here's the famous Banpo Bridge Rainbow Fountain! The fountain was exciting to look at for 5 mins, and since one session is 20 mins, I got bored after a while and start looking around. 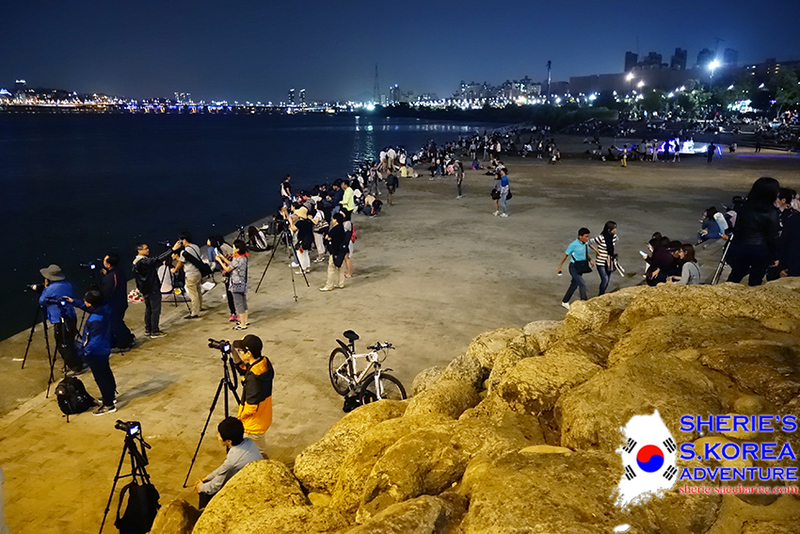 Many couples and family are having picnic here, and you can see there some of them looked like they have already been there for hours. Delivery bikes were also massive there, where people ordered fried chicken to add on their picnic menu. This place is also popular with cyclists and the park even has a dedicated cyclists path for them to cycle all the way to another street, just like our Park Connectors. So many photographers with huge tripods and cameras! Throughout the journey, K has also been very gentleman. He will like look out for me when crossing the road, on board and alighting the buses, and hold my waist when he want me to walk faster. Haha. After that we walked to Express Bus Terminal, a place where I visited few days ago for Underground Shopping in quite a run down complex. 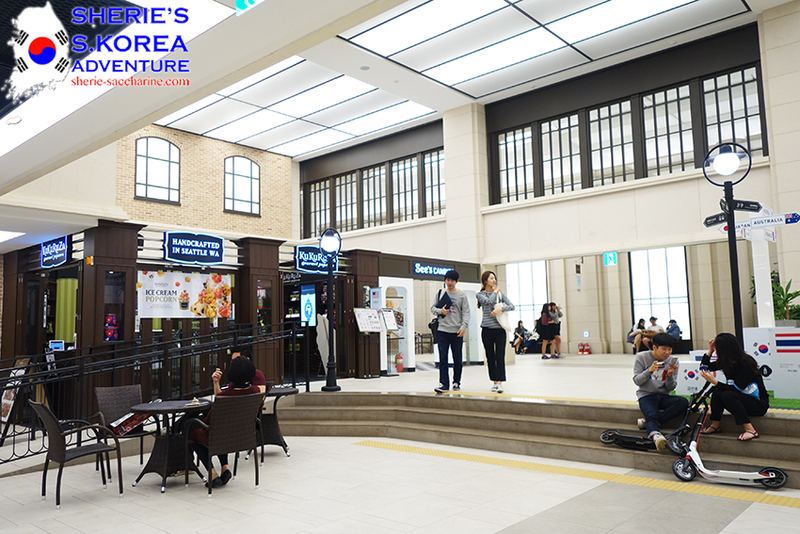 I didn't expect the actual Bus Terminal Food Hall to be so elegantly renovated. I finally found a Bulgogi dish! I order this Bulgogi Myeon at 8,500 won which gave me a ton of sliced beef and QQ flat noodles! What's a full meal without some "desserts"? 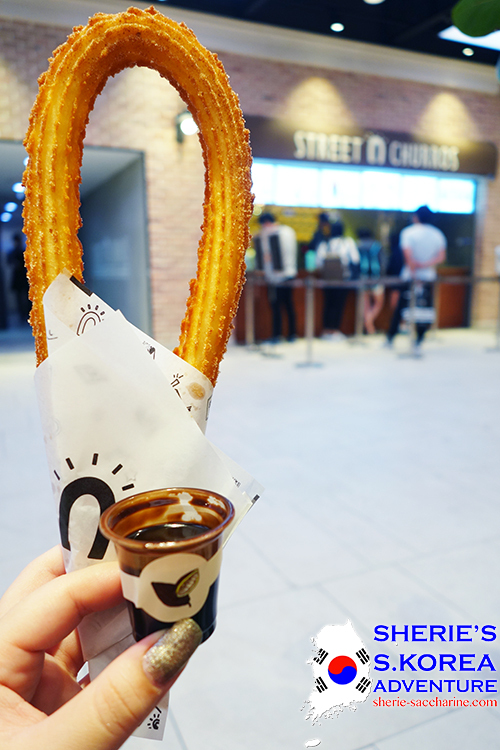 We bought an Iced Latte (his) and churros with dark chocolate dip (3,000 won only!) and I was blown away! The churros is freshly made and fried, and the crispiness is so addictive, and the chocolate dip blends so well with the cinnamon sugar. It was so good that I literally drank the leftovers. Hehe. He said his Latte was comparable to his favourite Starbucks latte at a much affordable price. #Satisfised! We bid each other goodbye at my hostel after he showed me the bus stop to take the Airport Transfer (Whew! If not I won't know how to travel there!). I met C on my last night in Seoul, and I was chatting with him using the secretly tapped wifi on a level 6 cafe. 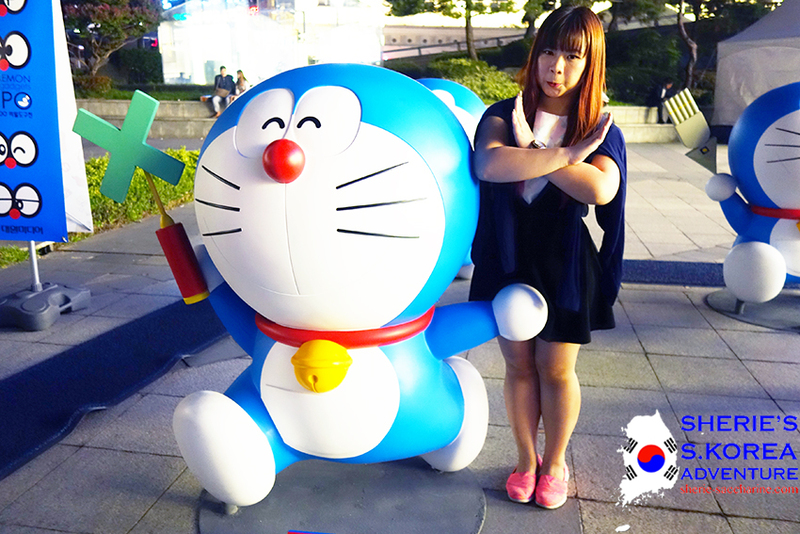 I said I need to go see my Doreamon at Yongsan I-Park Mall, so I'm not sure if I can meet him, since it's already past 8pm. But he said he didn't mind going to help me take photos. So off we go! 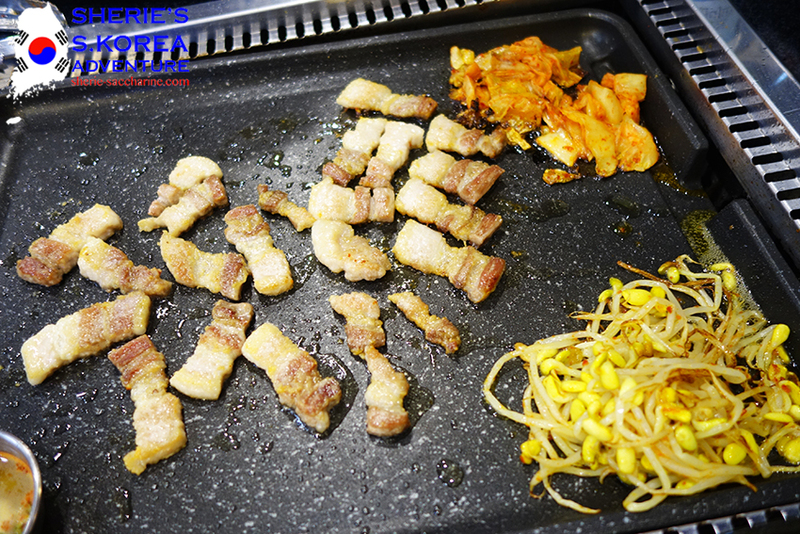 On the way to Yongsan station, he asked if I have tried JjimJilBang (Korean Sauna) since it's a must try in Korea. I had not tried it, so I readily agreed after I confirmed that I do not need to be naked in the hall. Haha. 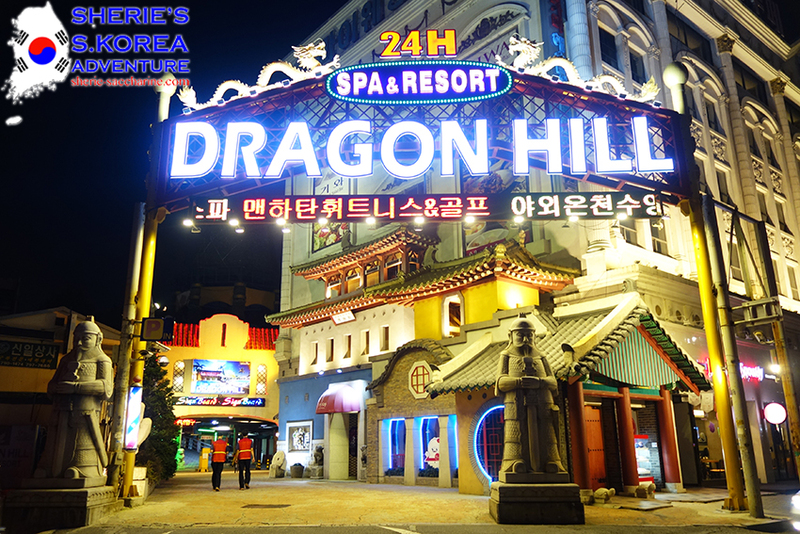 Beside I-Park Mall stands the 24hrs Dragon Hill Spa & Resort! I was behaving like a total noob inside the spa! As the male and female locker room/ bath/ hot spring room were separated, I spent quite some time figuring out where I should start being naked from. So I got to put all my belongings (including ALL the clothes I am wearing) in the locker, and walk naked to the shower room passing by the vanity area where people blow dry their hair, and the towel counter. But well, from toddlers to elderly, all female species were naked, so nothing to be shy of. I will post an entry on the spa in a separate entry. 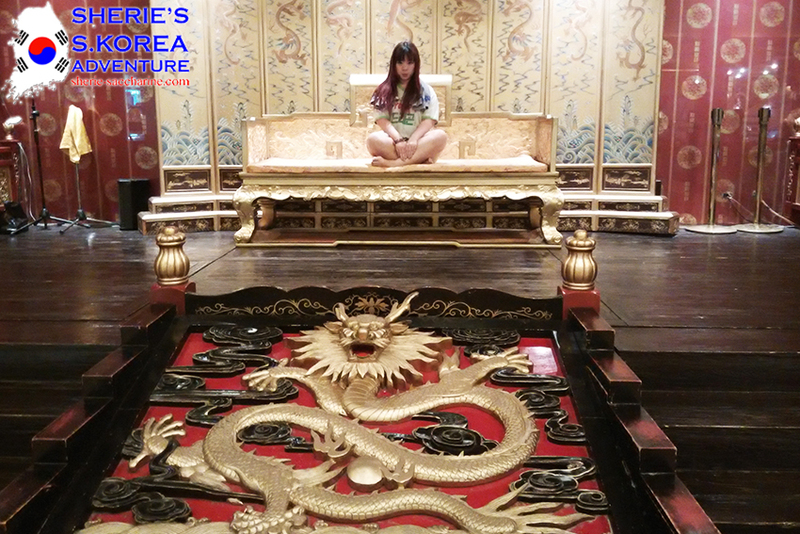 The entire place has a few themes, one popular photo spot was the Emperor's throne where anyone in their funny looking outfit can take a grand photo there. In the hot room, C decided to read my palm. Actually it was the first time I allowed anyone to do it cos I totally avoid fortune telling! However, as I didn't think it will be anything serious, I go ahead anyway. Instead of telling my future like what I thought fortune telling was able, C told me things that I should already know. Which is, my character; my behaviour; my emotions; my personal expectations etc. Which was so true to a point that I was sobbing seriously. Well, it was not life changing, but give me some food for thought. 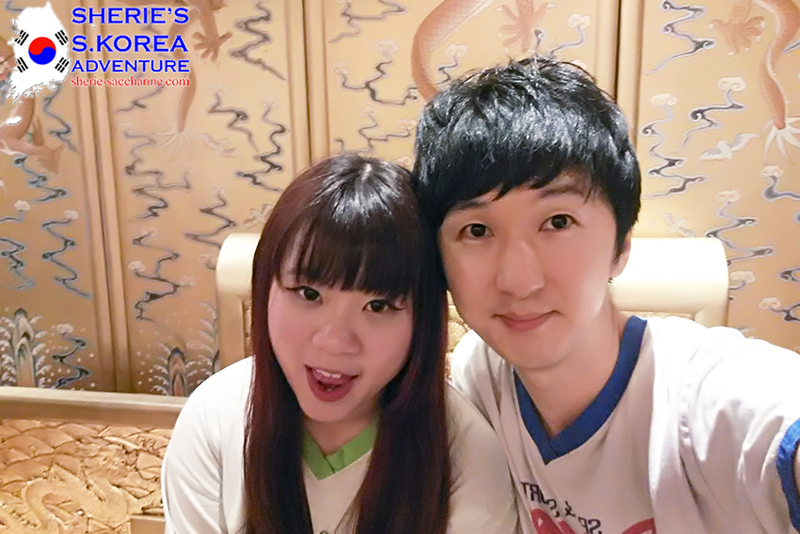 Here's the one and only photo of the Korean guy I met there. Haha. After the spa, I was famished. Like totally, since maybe 8pm! 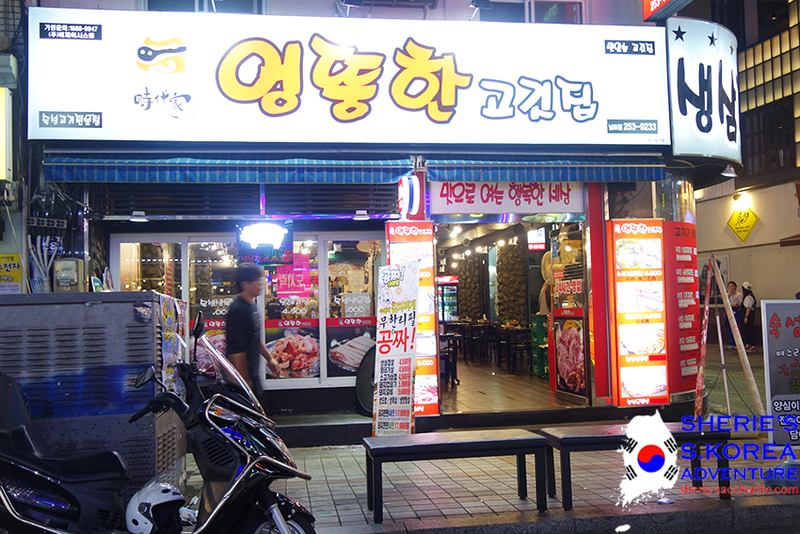 We went for some traditional pork soup supper in a 24hr restaurant, which is every hungry kid saving grace! The soup was really one of the best comfort food I had, and it's a good meal to end my Korea trip. The 3 guys and I didn't contact each other since, but it was really a great decision to pluck the courage to meet up with them. There is risk I admit, to meet up stranger in a foreign land. If you would like to meet up people like I do, remember to meet up in a crowded place like a train station, shopping mall or restaurants, and never ever 1) go to their house 2) invite them to where you stay! Common sense! 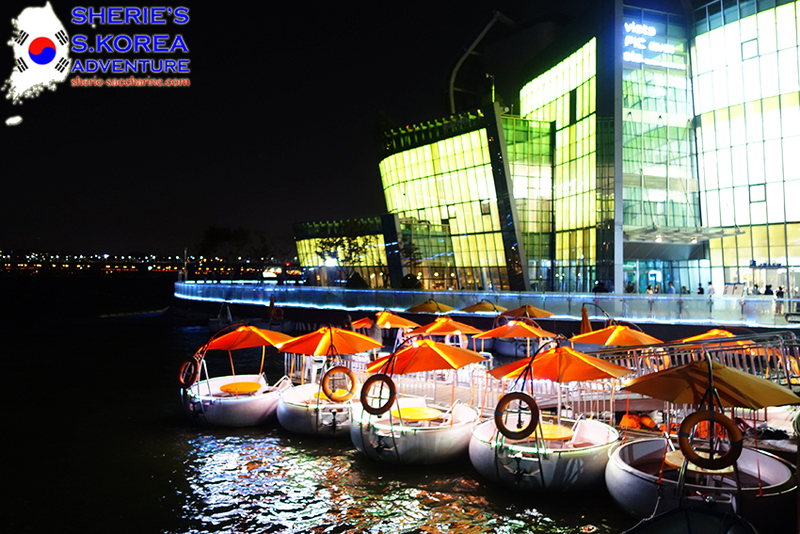 That's all for now, stay tuned for places to check out in S.Korea in the upcoming entries!